I am new to this period and am creating a new costume. 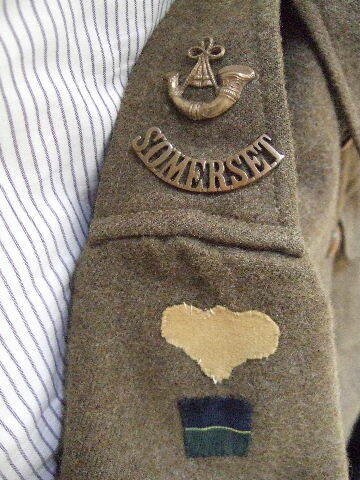 On GS jacket I need to affix brass regimental name badges. These have small loops on the backs. Should these be sewn to the surface of the jacket or pushed through the sleeve and stitched from the inside.